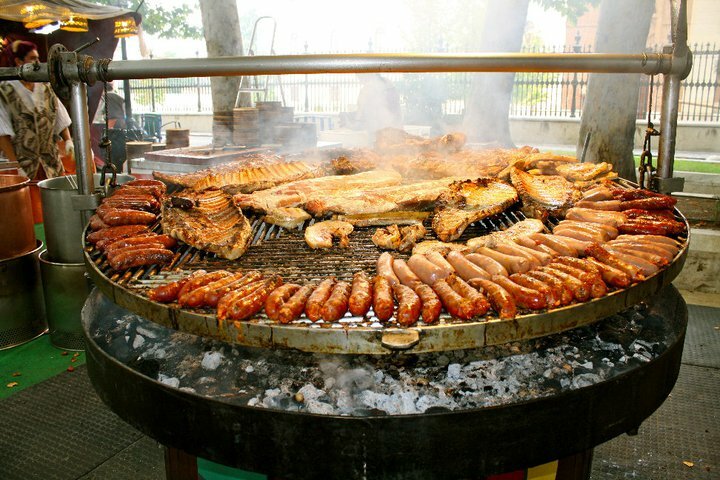 During the Holy Inquisition, in the sixteenth and seventeenth centuries, in order to show their fidelity to the Catholic religion to which they had been converted, Jews and Muslims were expected to eat pork in public. At that time, to be seen eating ham in a tavern or having sausages hanging from the ceiling at home proved that you were a good Christian. Failure to display a taste for pork, or refusing to eat it, could lead you to jail, where you might be tortured and eventually burnt at the stake. 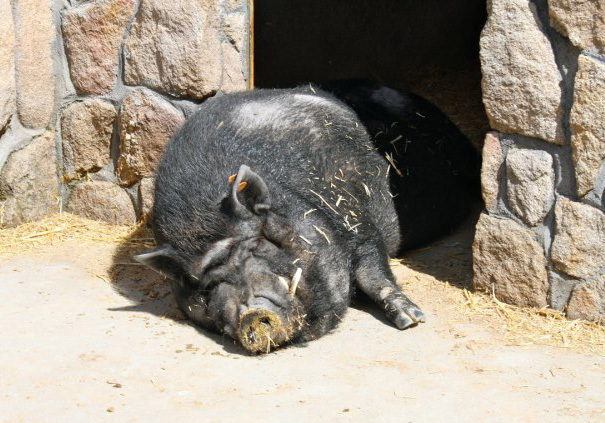 It’s said that, as a consequence of this, pigs are bred intensively and pork is widely consumed throughout the country. It can now be found in many Spanish dishes. 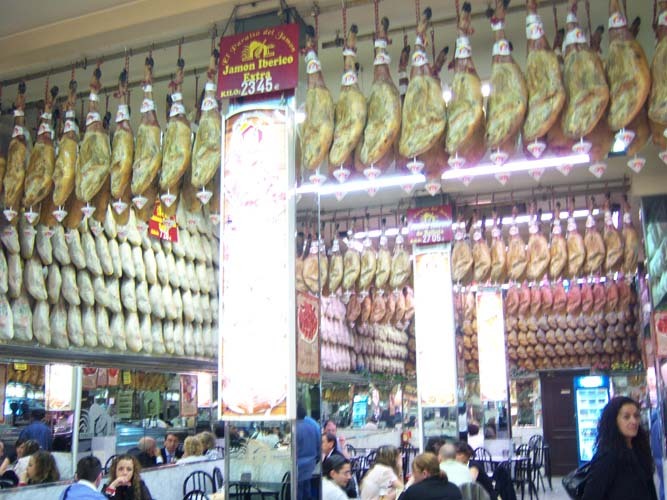 Ham is a delicacy here, and there are numerous varieties of it. You can see whole hams hanging from the ceiling of many eating-houses. Just take your pick and enjoy a few slices. It’s a delicious experience that is worth trying. 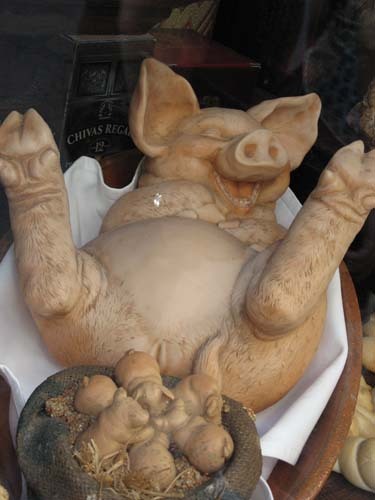 As a matter of fact, not only are the pig’s legs good to be eaten but also the whole body of the animal is edible. 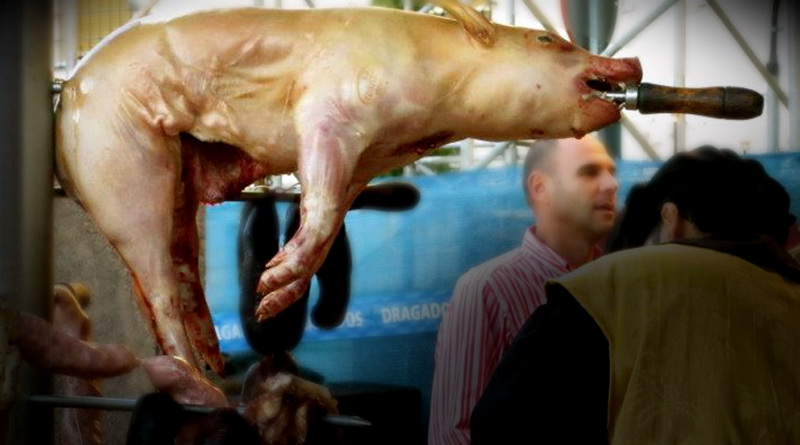 They say that every single part of it is used to make food, from the feet up to the ears, all the way through the intestines… As a Frenchman, whose reputation for eating frogs alarms the Brits, I’d be curious to see the face of an Englishman who’s been offered a tapa of pig’s snout. 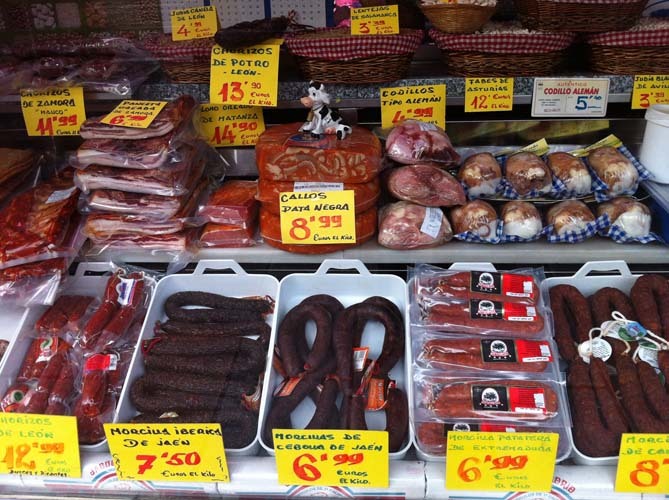 Anyway, the good news of the story is that, since the end of the Holy Inquisition, the people of Spain can freely eat (or not) pork, whatever part they prefer. What’s more, Jews and Muslims are no longer put in jail, tortured and eventually burned at the stake; this role is now exclusively reserved for the pig. Thanks to Ide for the pictures.